If you think of China solely as a manufacturing hub you’ve missed major economic shifts in the country and its population of 1.3 billion. China’s consumption economy is booming. The country’s middle class is already larger than the entire U.S. population—and it is hungry to shop. 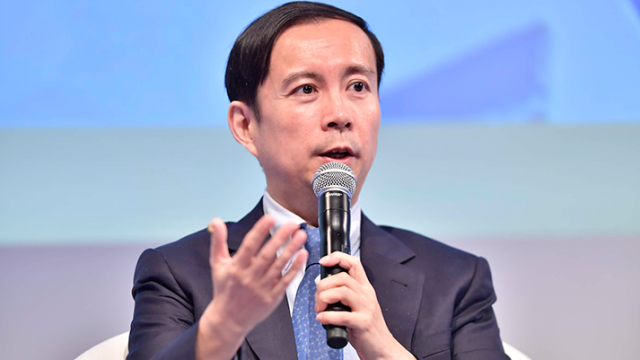 On average, the more than half a billion consumers of China’s commerce giant Alibaba open their shopping app nearly eight times a day and spend a whopping 30 minutes discovering, sharing and buying new products. These discerning shoppers are looking for high-quality, unique products that suit their lifestyle. Increasingly, those products and brands are American. Over the past three years Alibaba has served as the “Gateway to China,” working with U.S. companies to help them sell to China’s consumers and build their brands. 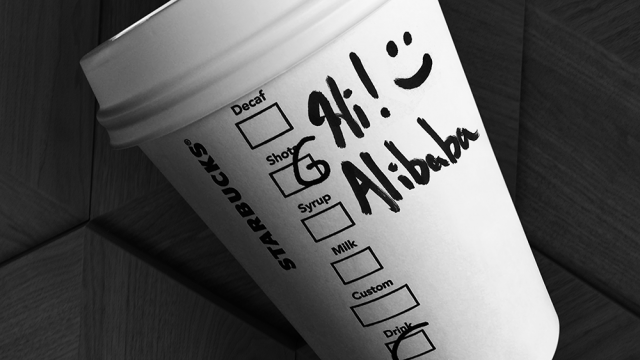 For budding U.S. brands looking to expand abroad, Alibaba can offer entry into the Chinese market. It can even turn an unknown brand into a popular and premium name in the world’s largest consumer market, literally overnight. Welden is one such success story. Its founder, Sandy Friesen, is a seasoned fashion industry player who left a successful career to start her own line of handbags. Launched from her Connecticut home, Welden’s chic hexagon designs were a local hit, and she considered expanding to Canada. Then China happened. After discovering her line at a trade show, a Taobao Partner led by well-known Chinese internet influencer company And Luxe Inc. bought pieces to sell on the Alibaba marketplace. The partner then set up a livestream for Friesen to interact with customers from her own living room. Friesen said this provided an “inside view of who I am and where I live,” an authenticity Chinese consumers crave from lifestyle brands. One thankful customer sang opera, others kissed their beloved bags and sent compliments. There was no question about the livestream’s success. Friesen sold four month’s worth of handbags in the first 15 minutes. Established brands, like Virginia-based Mars, has long sold candy bars in China. But in a market where consumers always want to discover something new and exciting, where do you go next with the already-popular Snickers bar? Working with Alibaba’s customer insights, Mars co-designed the new flavor mala—a Chinese word meaning numbing and spicy. The chocolate-spice combination resulted in the creation of the Snickers Spicy, a hit that has already brought in revenue of $1.4 million. This new candy bar would not have been possible without Alibaba’s product-development service. The Tmall Innovation Center helps international brands compete in the Chinese marketplace by leveraging Alibaba’s deep cultural understanding and vast consumer insights. Eliminating the guesswork that goes into penetrating a new market, TMIC conducts market research on behalf of U.S. brands, then handles product design, launch, sales and performance tracking. The example shows how Alibaba anticipates Chinese customers’ needs and desires and helps brands design products suited to local tastes. Starbucks is already a successful brand in its own right in China, but it wanted to push the limit on what it could offer. 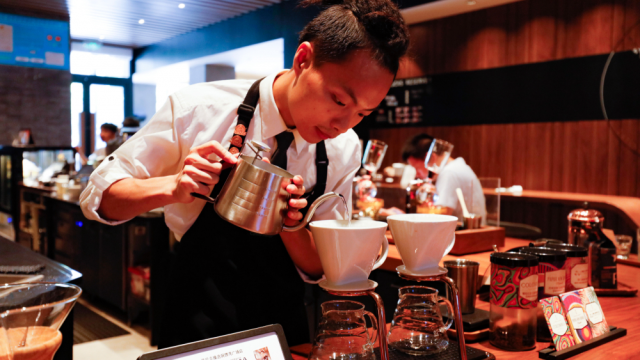 That’s why the coffee giant partnered with Alibaba to build its Shanghai Roastery, arguably the world’s most high-tech coffee shop, to give consumers an experience. 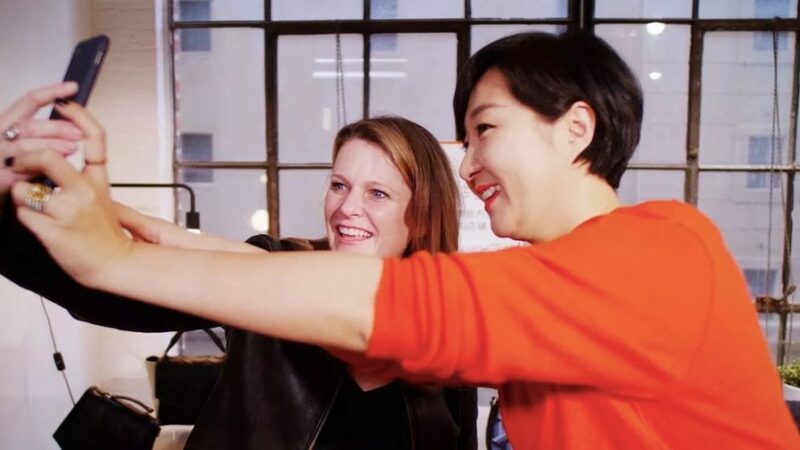 Through Alibaba’s Mobile Taobao app and augmented-reality technology, the two have transformed what it’s like to get a coffee and found new ways to engage customers. Customers can scan key features around the roastery and get details on coffee bars, brewing methods and the roasting process via animations created for the app. 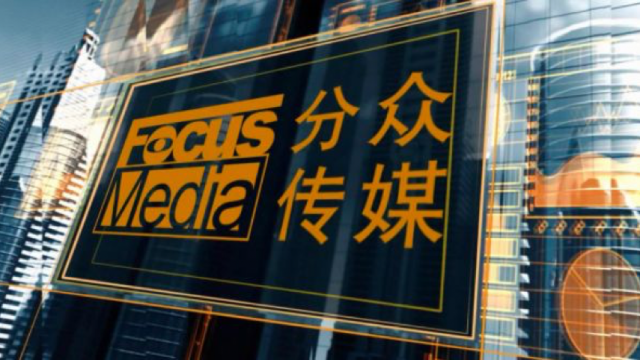 In a similar vein, Alibaba used technology to help Ford rethink the onerous and outdated process of car-buying. Instead of trundling from dealer to dealer, Alibaba customers can use their mobile app to choose from 100 different models and pick one up from an automobile vending machine—the ultimate “try before you buy” experience. Alibaba is giving U.S. brands, both large and small, the opportunity to gain an edge in China–a market that’s both attractive and competitive. Companies who understand the power of this market—and how to establish a relationship with Chinese consumers—stand a better chance to reap the benefits.